In a collaborative effort with The Animal League and Axum Coffee, the Orlando Cat Café has quickly risen in popularity amongst locals in the Clermont area and even travelers from across the country. 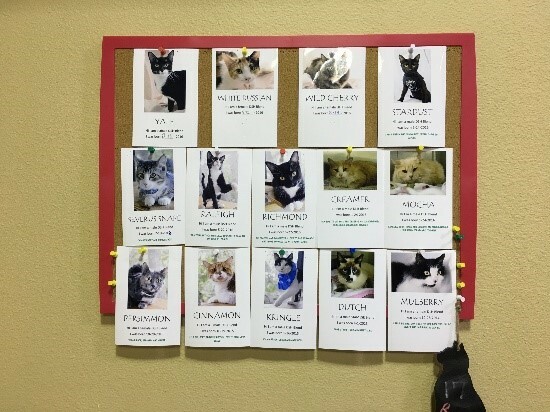 Here, patrons have the opportunity to not only play with the sweetest rescue cats but also to give these furry friends some new homes. Getting a new pet is a major commitment. The Cat Café allows you to meet your furry friend in a comfortable environment before making your decision. 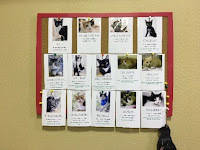 “The Cat Café usually has anywhere from 12-18 cats at a time,” said Kathie Camara, a volunteer working with the cats. Since opening in September of 2016, there have been 60 successful adoptions, which is a wonderful feat! The cat play area and café are separated with two different air conditioning systems, meaning there is no cross contamination. As a result, those who are allergic can grab a coffee and watch the felines through a glass viewing window. According to one worker named Chelsea, many people find the experience very stress-reducing. “A lot of people that can’t have cats come here so they can get their fix,” she stated. She explained that many people have family members who are allergic to cats, and for these animal lovers, coming to the Cat Café allows them to spend time with some sweet rescues.